Learn more about Rev. Reba Millhollon ·· Longest Active Missionary! At the age of 13, Reba Mae Rowland dedicated her life to God and made a promise to serve Him in the Christian ministry of the Gospel. Born February 18, 1920, in Vian, Oklahoma, she was the youngest daughter of Rosie Mae and Velmer Rowland. The family of six moved to California in the mid 1920s and Reba spent her childhood growing up among the orchards and farms from Salinas to El Centro while her father and brothers worked as ranchers. Right after graduating as valedictorian of her high school class in Salinas, Reba Mae met a visiting youth pastor, Rev. Thurman G. Millhollon, and they fell in love. Two years later Reba and Thurman eloped and were married in Yuma, Arizona. Wanting to begin their ministry together immediately, their honeymoon was a brush harbor revival meeting in Rubidoux, California, near Riverside. Reba and Thurman had four children, Suandra, Yudora, Freeman, and Newman. Together Rev. and Mrs. Millhollon co-founded the Bethel Tabernacle and Bethel Christian School in Ontario, California. Reba served as school director, teacher, music/choir director, and head of the drama department. In 1958, they followed God's calling to the country of Belize in Central America and established Belize Faith Missions. For 23 years, Reba worked alongside her husband in Belize and Guatemala, establishing 79 churches, an elementary school, and the country's first senior care home, which later grew to become the first children's home in Belize. It was because of her work with the children of Belize that Rev. 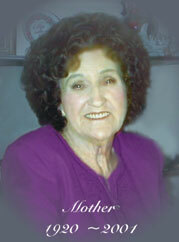 Reba Millhollon came to be known and loved as "Mother" throughout the country. In 1981, Rev. 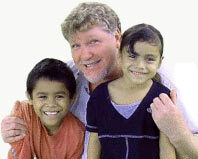 Thurman Millhollon was killed in a car crash in Mexico on his way to Belize. Reba continued the work in the mission field for the next 20 years on her own. When she was 78, television's 700 Club made a report about her and gave her the distinction of being called "the longest-serving active missionary ever." Reba finished her earthly course February, 2001 at the age of 80. In her 61 years as a minister and 42 and a half years as a missionary, she helped establish many churches, educate thousands of children, raise hundreds of orphans, and always gave of herself as only a mother can do. Those she taught carry on her work.